Cinematic Paradox: Top 10 reasons why Clash of the Titans is nothing but a blockbuster. 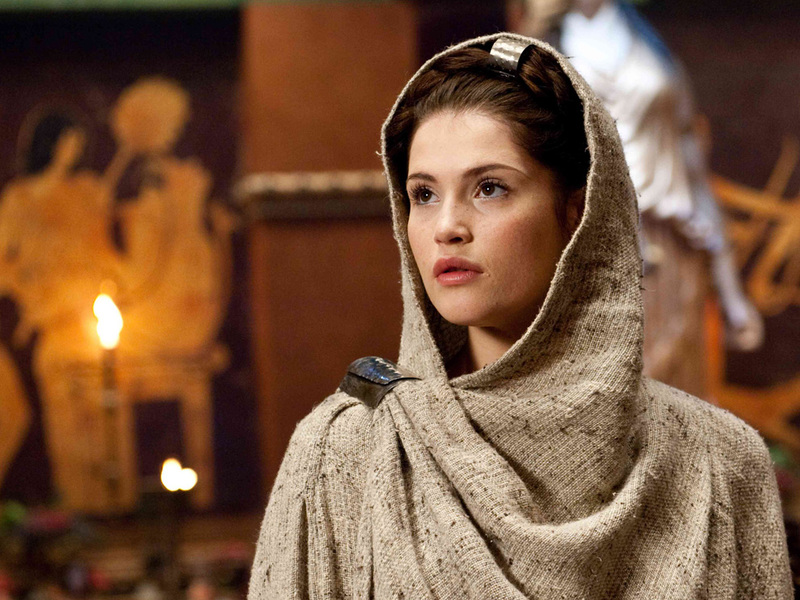 Top 10 reasons why Clash of the Titans is nothing but a blockbuster. 10. 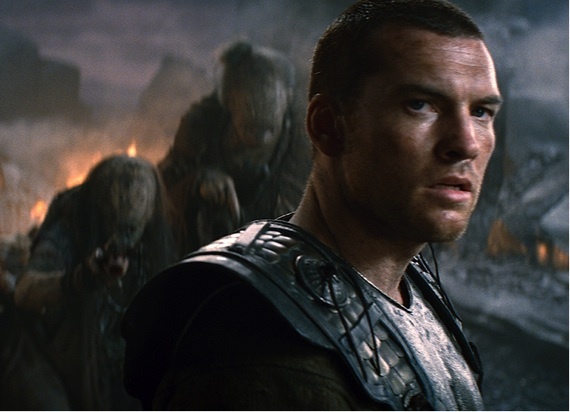 It has Sam Worthington in it. Coz, you know, once you've played a giant blue person, you're a bankable star. Take note, aspiring Australian actors. 9. Liam Neeson shines like...he's been attacked by the glitter used on Edward Cullen. He's a good actor, and that's why he is in this blockbuster. But his acting skills aren't enough. No, you have to make him look ridiculous. Even though I'm sure he was supposed to look like Zeus. "Let me loose upon them!" "One day, somebody's gonna have to make a stand. One day, somebody's gonna have to say enough." "I'd rather die in the mud with those men than live forever as a god." 6. Men with long hair. Long hair was sooooooooo hot back in the day. It's also soooooooooooo hot for people who like watching brainless blockbusters too. And it still baffles me why Sam Worthington gets the short hair, too. 5. Some random hot lady coming to help our hero. Who's played by Gemma Arterton, who seems to be right at home in these sandy kinds of movies. She just pops up out of nowhere. Which I think would turn some men on. Woops...I mean, Hades (who has hair and a nose). I just don't think Ralph Fiennes is over playing the bad guy with the strange voice. 3. All sorts of mythical creatures. Such as the KRAKEN! You just throw in some things we have never seen before, or things that don't look particularly authentic because they have been made by a computer, and there you have it: a cash cow. 2. Throwing stuff at the screen! Yeah, I realize that this was made in 3D, but when you are watching it on a laptop screen, it kinda seems like they are throwing stuff at the screen to try and get us to stop watching it. ﻿...of a movie which wasn't even good in the first place. So what the hell? No one saw it. Barely anyone knows it's a remake. They just want to make the idea look really original. LOL That's a great post! "Glitter used on Edward Cullen". You're really great with your writing Stevee! Have you recognized Nicholas Hoult among those guys with long hair? I did notice Nicholas Hoult with the long hair. He was the reason I rewatched this movie (well, kinda, I watched half of it back in August, but the DVD stopped working). Anyway...I wasn't missing much.